Within Teamwork Projects, you can print or share a task list as a PDF file, using the Task List Report. To generate the report, click the options arrow to the left of the task list name. Hover over Reports, where you will see an option for Task List Report. 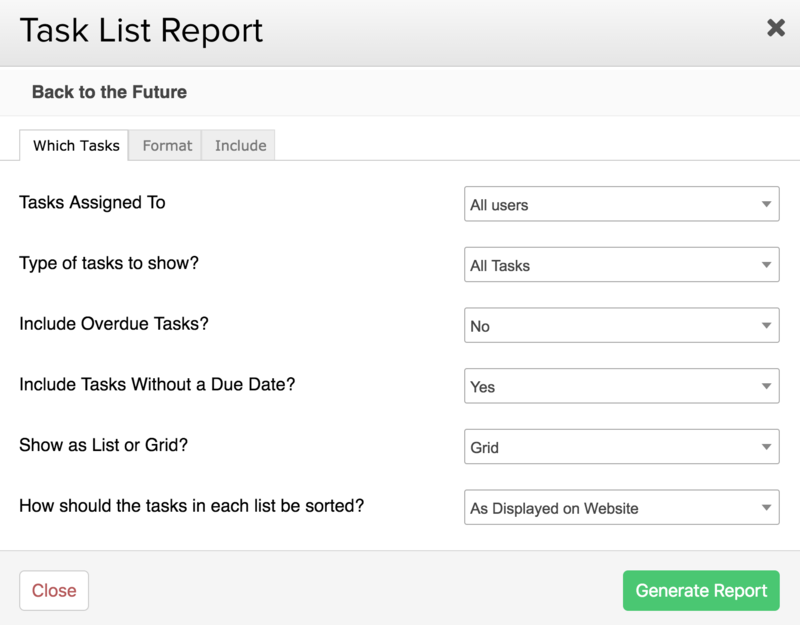 In the Task List Report modal, you can choose which tasks you want to include in the report. The format tab allows you to export the report as a PDF or Excel file. The Include tab allows you to choose whether to include logged time, estimated time, comments or private items. Note: Comments cannot be included in the Excel export.